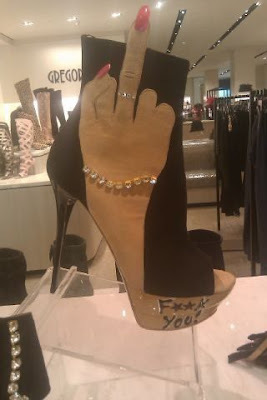 Ok so y'all know that I am the "Middle Finger Champ" and these shoes... BABY say it all.. Have you every felt the need one day to tell some one "F*ck You"?? well now thanks to Cee Lo Green and Mossimo you can now say it and show it.. I may need these in my life! And although there's pain in my chest I still wish you the best with a.......F*ck You!